There is something quite unique about the shoe of cards that you will find in play on the Spanish Blackjack game which is another online blackjack game which can be played for free or for real money, and that is whilst this game does have 8 decks of cards in the shoe each deck has had all of the 10 cards removed from those decks. The picture cards are still in play but none of the 10 cards are. When you play this game the dealer always performs a full shuffle before any new hand is dealt out and when the dealers hand is worth a soft 17 or any lower valued hand he will keep on hitting his hand until it become with a hard 17 or any higher valued hand. Below you will find all of the information regarding how this game plays and pay and be aware this game also awards a set of bonus payouts all of which you can be awarded with without the need to place a side bet wager. You could possibly be attracted to playing the game of Spanish Blackjack for there are a range of bonus payouts that can and will be awarded to you when you play this game online and are dealt out certain winning hand combinations. What makes this game appealing is that you are going to find those bonus winning payouts are paid out to you without the need for you to place any type of bonus bet wager to be in with a chance of winning those bonus payouts. The base game is going to give you a plethora of different wagering options and as such if you wish to play this game for very low stakes then the minimum stake required to play it is just 1.00 and the maximum wager you can place on each and every hand played is a high rolling 200.00 per hand. You will get a payout of 2 to 1 if you take the insurance bet and it is a winning one, even money on all standard winning player hands and the payout of a winning player’s blackjack hand is 3 to 2 which is an industry standard payout. If you play the Spanish Blackjack game optimally the lowest house edge that you will be playing against works out at 0.38%, so do keep on reading to learn how to play this game optimally and strategically. Be aware that there is a very favourable set of playing rules which you will find in use on this blackjack game and as such if you have been dealt out a blackjack hand then that hand will always beats a dealers blackjack hand as will any players winning 21 valued hand when the dealer also has a 21 valued hand. You are going to be able to surrender your hand when playing this blackjack game online and you are also going to be allowed to double down on any two initial cards you have been dealt out, and you can also re-double any hand but only once. You are also able to double down a hand even after you have split a hand but when playing this game online you can only split a hand a total of three times and when you do then you will end up playing 4 unique hands. You can also draw and double down to any split aces which does make this game a highly playable game, more so thanks to each of the bonus winning payouts that can be awarded to you when you play it. With the Spanish Blackjack game coming with a whole host of bonus payouts then it may be a game that appeals to you, for you will often be awarded with those bonus payouts when playing this game online. But also ensure you play off every hand optimally and to ensure you do below we have listed a range of playing moves that are part of the perfect playing strategy for this game, to always play this variant of blackjack strategically make sure you download out strategy card and refer to it when you do decide to play this game online. Surrender – There is a surrender option available to you when playing the Spanish Blackjack game online but only every surrenders your hand when it is a hard 16 or hard 17 hard or a pair of 8’s when the dealers up face card is an ace, those are the only three time you should every surrender your hand when playing this variant online. Doubling Down – If you have been dealt out a hand worth 11 when you initial two cards have been dealt out to you when playing Spanish Blackjack then you should double down those hands no matter what card the dealer is showing. Hitting a Hand – If your initial hand is a very low one and has a combined value of a 5 or 6 then the very best playing move in regards to playing those hands is for you to always hit them, irrespective of just what card the dealer has on show via this up facing card. When to Stand – If on any initial two card hand that the dealer has dealt out to you, your hand has a combination total of either a soft 19 or a soft 20 then you should always choose to stand those hands even if the dealer is for examples showing a very low valued card. Insurance – The aim of playing any blackjack game is of course to win and to have any chance of winning you need to be playing the game perfectly and doing nothing that is going to reduce your winning chances or increase the house edge of the game. 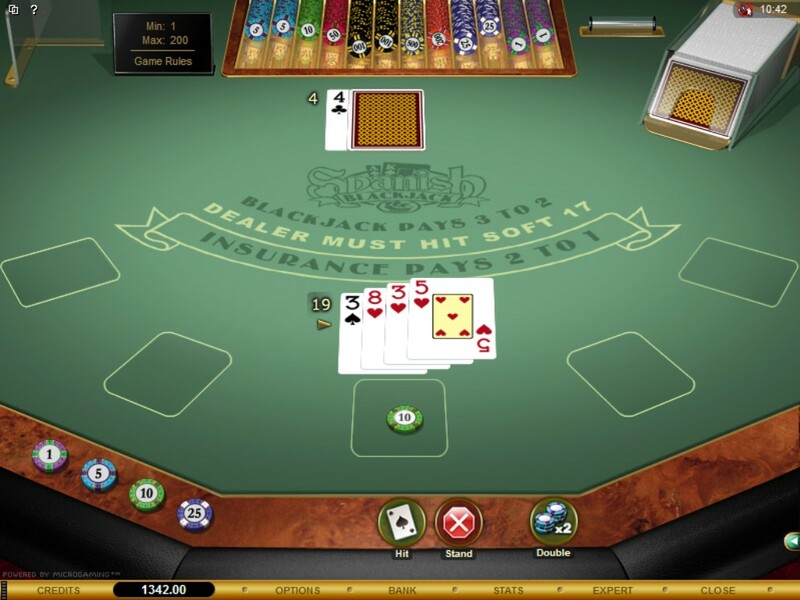 The insurance side bet wager is one of the most poor valued bets you can place on this or in fact any other blackjack game variant, and as such if you are playing this game and the dealer offers you the insurance side bet options then refuse I every single time offered. Plenty of additional playing value can be locked into any real money playing sessions you have when playing the Spanish Blackjack game as lots of online casinos let their players claim all manner of bonuses when they make a deposit for the first time or as part of an ongoing promotional offer. Just make sure that you are aware of any terms and conditions attached to any bonus you do claim in regards to playing this blackjack game as the play through requirements may be increased when playing this game as opposed to slot games for example with bonus credits. 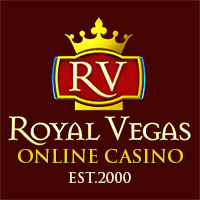 You will also be earning comp points when playing the Spanish Blackjack game at all online casinos in a real money mode, and the number of points based on your real money gaming action can vary from site to site so make sure the site you are playing at offers you a generous number of points per wager placed, and also has beneficial redemption rates for turning all of your accumulated comp points into playing credits. This page describes the game of Spanish Blackjack. If you were looking for casino games related to Spain, we have an article targeting Spanish casino players and the legal situation.